Ata was human, and her parents could still be alive. It looks like an alien, but its story is much stranger. And now it’s causing an international incident. Chilean scientists and government officials are protesting a study published in the journal Genome Research on March 22. It’s not the study’s conclusions or science they take issue with, though. It’s the study’s subject: the body of a mummified Chilean girl. 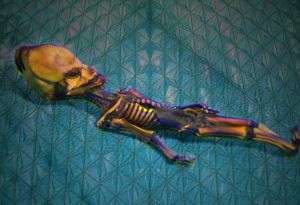 Alien enthusiasts are pretty obsessed with Ata, a 6-inch-long skeleton that was discovered in 2003. Oscar Munoz found the tiny mummy in a leather pouch in a Chilean ghost town near the Atacama Desert (hence its name), and soon after, rumors began swirling as to Ata’s origin. See, the Chilean mummy looked human-ish, but it also looked, well, kind of not. Ata had a conical head shape and large eye sockets that looked straight out of a sci-fi film. The mummy was barely the length of a 19-week-old human fetus, but had bones as mature as those of a six-year-old. It also had hard teeth and only 10 pairs of ribs while humans have 12. Cue the alien hunter hype. Eventually, the Chilean mummy landed in the private collection of a Spanish businessman. 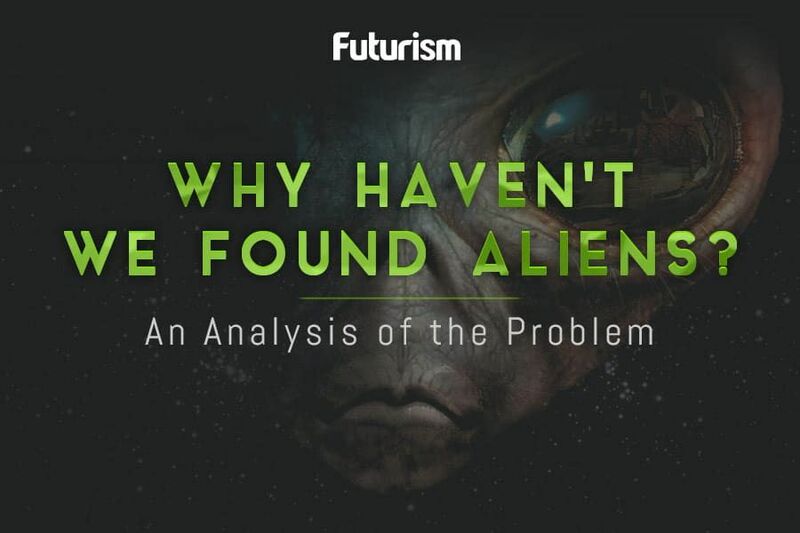 In 2012, he gave Steven Greer, a doctor and founder of the Center for the Study of Extra-Terrestrial Intelligence (CSETI), permission to analyze it. Greer, in turn, gave Garry Nolan, an immunologist at Stanford University, samples of Ata’s bone marrow and other genetic material. In 2013, Nolan dashed the hopes of alien hunters everywhere by concluding that Ata was fully human. “There’s no doubt about it,” he told Science Magazine at the time. Case closed, right? Not so much. This week, Nolan and his team published new research about the Chilean mummy in the journal Genome Research. In it, the researchers provide an explanation for Ata’s alien-like appearance: seven different genetic mutations. “Once we understood that it was human, the next step was to understand how something could come to look like this,” Nolan told National Geographic. Chile strongly disagrees. The next step should have been returning Ata to her country of origin. Once Nolan published his findings in 2013, Ata was no longer an “it” but a “she,” and as such, the tiny mummy should have received all the protections given to the remains of any other human. On March 25, Cristina Dorado, a biologist at Chile’s University of Antofagasta, published a commentary in Etilmercurio citing a number of legal and ethical issues with Nolan’s latest work. She wrote that, while the study did have scientific value, it failed to consider the legal and ethical implications of studying a human body. Furthermore, the researchers themselves concluded that Ata, whom Dorado calls “the girl from La Noria,” was likely born just 40 years ago, meaning her parents could still be alive. Dorado called upon Genome Research to retract the article, but that doesn’t seem likely. The journal’s editor, Hilary Sussman, told The New York Times the publication “will return to [the issue of studying DNA from ancient human remains] in future issues of the journal.” In other words, it’s not happening right now. Still, as Dorado notes, this is far from the first example of the “plunder and sale of mummified bodies.” Genome Research might not retract the article on Ata, but perhaps the controversy surrounding the study will give other scientists pause before they move forward with research on human remains.